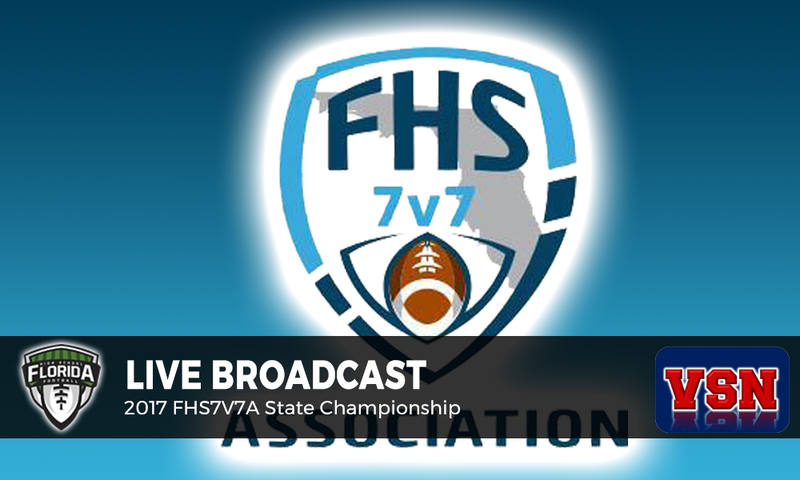 ST. AUGUSTINE, Fla. — Join FloridaHSFootball.com and Varsity Sports Network today from 12:00 p.m. to 3:00 p.m. Eastern as we broadcast LIVE from Foots Brumley Stadium on the beautiful campus of St. Augustine High School in the Nation’s Oldest City for the 2017 Florida High School 7v7 Association State Championship Tournament. Joshua Wilson, Owner & Publisher of FloridaHSFootball.com will be the host of the three-hour show which will include pool play results, interviews with coaches and Florida High School 7v7 Association’s Will Dettor. After that, we will bring you LIVE coverage of the games as they happen during the single elimination bracket. Teams participating in the tournament include Columbia (Lake City), Sandalwood (Jacksonville), North Florida Christian (Tallahassee), St. Augustine, Spruce Creek (Port Orange), Melbourne Central Catholic, South Broward (Hollywood), and Palm Beach Central (Wellington). To watch the tournament LIVE click here.